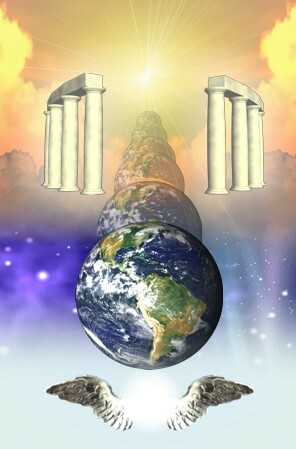 Welcome to the new dawn, the shift of the ages where the 11:11 galactic gateway was opened. Many light workers stood at this gateway and welcomed, embraced and celebrated the waves of light which poured onto the planet over three days which transported Earth to the next frequency level in her evolution. Wow what an amazing time this is for us all. This time frame has been called many things and it is not important what it is labeled for it is HERE NOW. The new dawn has come, with the rising of a new frequency of light through a galactic alignment foretold by the Children of the Sun from the Mayan and Peruvian civilizations. Wisdom passed from those native heritages; where the Gods from the Stars carried the message of light to the people; of a time when Earth will also become and carry this light. I for one, feel incredibly blessed to be a part of this time which enabled me to stand and be counted as one of the many who heralded the opening of the 11:11 gateway. I feel called today to joyfully celebrate this exciting time with you all and the potential of our future. We have all played our part. We are the ones we are waiting for; we are the heralds for the new light to be present where a new way of being will be created in the future. Information from a recent Newsletter by Planet Alert on 2013. Happy New Year everyone, may this be a wonderful year with surprises everywhere. Remember, we are still in the year of magic and miracles. This past year was very challenging. It was a number five year and five rules change. This year will be a number six year. Two plus thirteen (2013) = fifteen/six. The tone of 528 hertz is the vibration of love. The number 528 adds up to 15/6. With this number in affect we will see many people moving into unity consciousness, and this is the year when people will start thinking with their heart. It is also a number 13 year which is the number of the Goddess energy that is within everyone. Thirteen is also the number of transformation. Summer Solstice, December 2012 in Queensland, Australia. I headed down to the Ocean to catch the dawn rising on this auspicious day, I waited at 4.30am with a couple of friends to film the sunrise on the day of the Solstice. The sun tried to peak its way through the dense cloud cover of an overcast hot summer’s morning. For our usual sunrises it was nothing spectacular. The clouds created a soft gentle light in the sky, delicate as the softness of the coming vibration of the new light of grace. Just before 6.00am I walked along the beach to a flat topped rock and sat in meditation. I placed two flat tabulator crystals onto my crossed legs and a large crystal wand at the center below my root chakra. I connected to my heart flame, then the heart of Gaia and out to the heart of the Cosmos through our sun and central sun. I sat waiting with the intention to let go of past hurts in readiness for the 11:11 time frame. The vibration was exquisite. Returning home I set up my altar for the 11:11 ceremony and began my meditation prior to 11.00am. I was sitting within a portal of light I had repeatedly created over the past months in the house on the top of a hill overlooking the Ocean. I set my intention for this 11:11 meditation that I would be aligned with the exact timing of the doorway opening conducted by Solara An Ra in the Sacred Valley of the Incas in Peru. Solara was guided to open this final gate, the 11th Gate Peru where I had previously visited. I took myself to the Galactic Center aligned with the black hole and waited for the Gateway to be opened. At 11 minutes past 11, I felt an in surge of vibration and received the new galactic energies which poured in a flood of wave like energy filling me. Following that I was so full of light I lay down on a sofa to connect again for the midday Solstice. I was overloaded by this stage and spent the afternoon relaxing unable to do any more. A few days before this event I was blessed by a gift of a new young male friend who also channeled light language connecting with me. He joined me that evening and for the next two days we floated together in a profoundly high vibration of light as the flood of light continued. We felt the immense support coming through from the star beings everywhere we went. I embraced the possibility that we stood together through this Sacred time representing the balance between our Sacred Masculine and Feminine selves but not only for us but for the planet. We are all ONE. Even now as I sit outside under the night sky staring at the stars and the Cosmos, I can feel the exquisite vibration that is with us now, available for us to access at any moment of stillness and conscious connection. This experience has also facilitated many mornings since where I have needed to cry and let go of some of my old hurts. I welcome all of you to share your experience, your story with us. I would like to spread it to others of this Goddess Community. Please feel free to share for all of us are experiencing different aspects for the whole.